1. In a large glass, muddle mint and peaches. Add ice and ginger beer. Serve. Pro Tips: 1. Add a few fresh slices of ginger root for a spicy kick to this drink. 2. 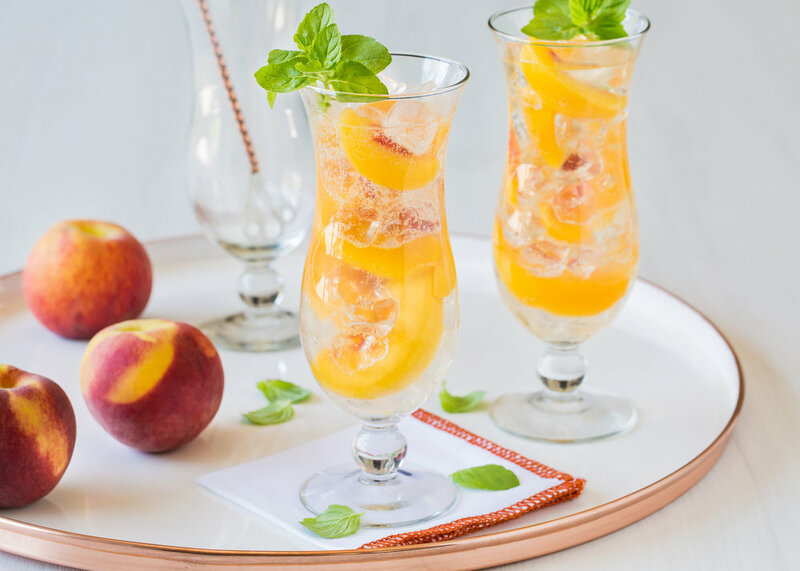 Use a few frozen peaches instead of all ice to keep this drink garnished, frosty and delicious.